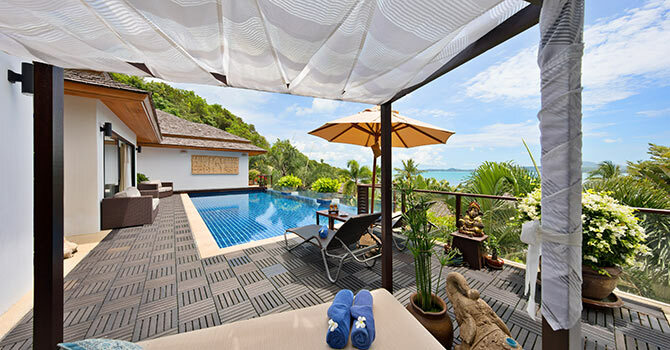 Baan Ratree in Bophut, is a well organised 4 bedroom sea view villa inviting you to take a step into the tropical pace of the island. 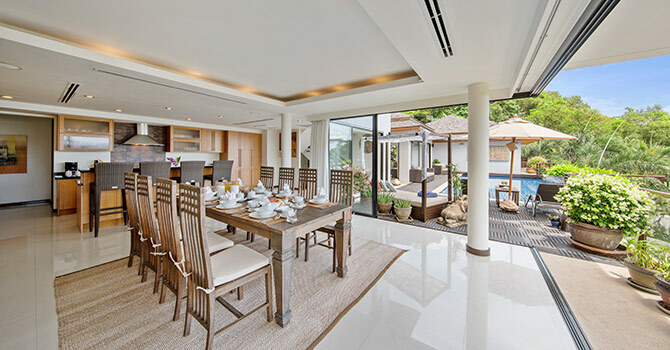 Enjoy the private pool deck and sun loungers, or try your hand at the outdoor barbecue - the open air kitchen and dining enjoys stunning views and you walk out straight to the infinity pool. 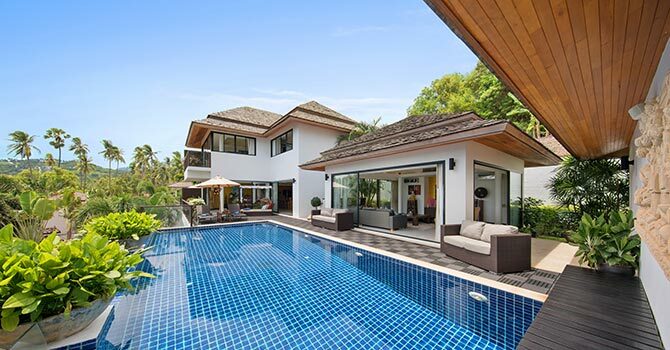 This stylish Villa is the perfect place to wind down, de-stress, and enjoy the carefree vibe. Featuring an oversized infinity swimming pool and great indoor/outdoor social areas, this property is perfect for a family or friends retreat. 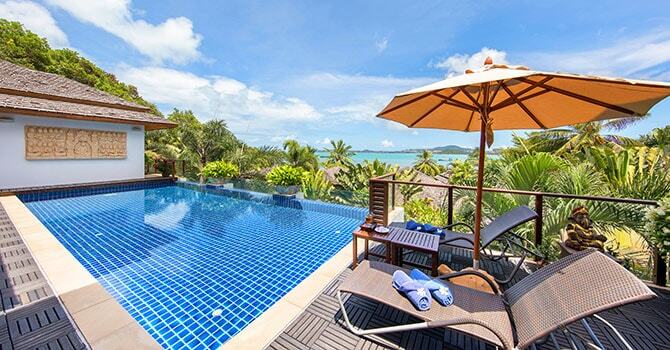 The villa boasts an enviable location overlooking beautiful Bophut Beach in northern Koh Samui. Attractions including the Fisherman's Village and Meanam Walking Street less than ten minutes away by car. 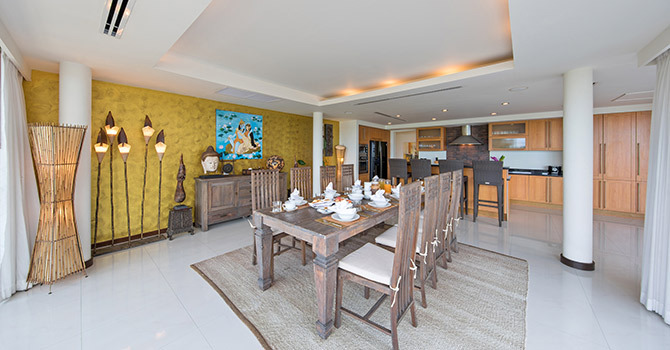 The beautiful villa can be configured as either a two-bedroom or a four-bedroom property. Each of the bedrooms are light and airy, with a stylish en-suite bathroom. The master bedroom also features a relaxing in-built bathtub. Each of the rooms are modern and bright, with traditional accents for added style and charm. 8 minutes drive to Meanam Walking St.